Turnaround vs. Tweaking. Continuing to game the accreditation scoring system may lead to enough points for the accreditation label, but that does not mean that students are getting a first class education. It may only mean the current system is preserved for another year. Accreditation does not assure teaching effectiveness. The fundamental question: Are we going to be bold enough to put into place a strategy for a new and very different school system? There is altogether a failure of imagination about how our school district can still exist but look differently than it already does. Schools being empowered to make decisions at the building level based on their knowledge of their own student base is a definite trend happening across the country. That might mean a totally different educational establishment, changing the power structure, eliminating old jobs and creating new ones, and building a new culture based on accountability and competence. Real change can be painful because you have to give up some things to get new ones. Are we willing to give up some sacred cows? The superintendence. 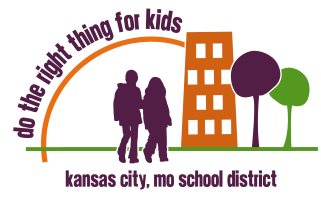 As Kansas City seeks a replacement for Dr. Green we urge the school board to look for a superintendent who understands the nature of our students (urban, minority, often poor, many from challenged home situations), has a proven track record and a bold plan to help them succeed—fresh approaches rather than relying on the same old methods that have not worked. We need someone who can unite the community behind a vision and who has the management experience to operationalize that vision. This vision cannot depend on one person alone to realize it; over the years we have been too dependent on the superintendent-savior to fix everything. This strategy has not worked. Board Governance. We need a board that provides bold leadership, innovation and accountability, not timid followership. In over-reacting to past cronyism we have arrived at a situation in which board members confess privately to being out of the loop and dependent on the administration to know what is going on. And worse, being in a reactive rather than proactive mode when it comes to charting the course of the district. The board is accountable for the district’s effectiveness, and voters should hold its feet to the fire. Building connections. Public education is succeeding in settings in which there is a coalition of schools with various sponsors, emphases and funding sources with each held accountable for the successful education of its students. This is an era in which building bridges is leading to success, not cutting off opportunities for groups to work together. This will be a system that no individual or interest group owns. It is not a time for circling the wagons to keep everyone else out. We have the option of either inventing a new open system of collaborating schools or waking up one day and finding that the existing school district has gone out of business. Some citizens and some media need to quit applauding “turning a corner” and start asking what we are doing differently. There is talk about turning the corner because there is stability, but no one questions the what or how. It is time to provide our students a really outstanding education that will equip them for the future.